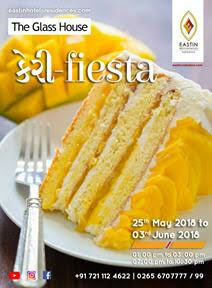 Global Travel Media » Blog Archive » Celebrate a tongue tickling ride with Keri Fiesta at Eastin Vadodara!!! Eastin Residences Vadodara- the 1st international premium boutique services residences hotel in central Alkapuri, offers you a delectable opportunity. 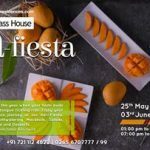 To experience the vivid persona of season’s favorite fruit- Mango. 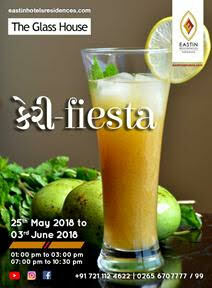 Enjoy your mangolicious journey with our Keri Fiesta! 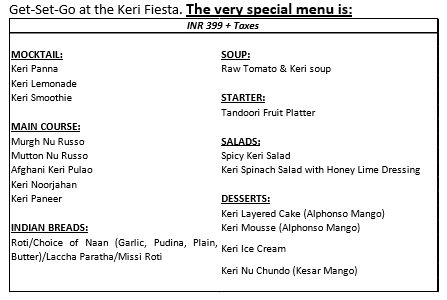 Savor mouth-watering and refreshing Mocktails, Salads, Main course and Desserts- all with a delectable Keri twist.